If this was the calm before the storm, oh boy are we in for one hell of a disaster. 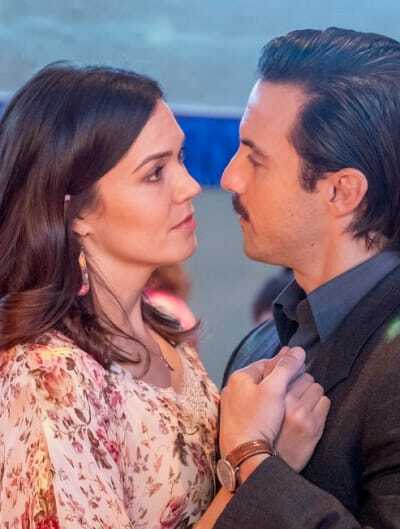 The never-ending Randall and Beth saga came to a head on This Is Us Season 3 Episode 16 as Randall went from a doting and devout husband to a massive jerk within a couple of days. 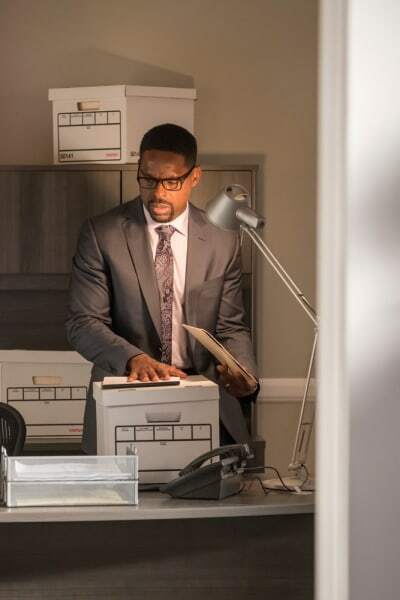 Randall and Beth's marital woes have been a very prominent story throughout This Is Us Season 3, and while there were multiple times it seemed like they put these issues to bed, the underlying tension remains and has bubbled beyond the surface. These two can no longer sweep their issues under the rug, and it looks like all of these issues are about to be dealt with head-on. "Don't Take My Sunshine Away" was merely a waiting game. The tension was palpable as soon as Randall and Beth looked at that massive whiteboard. They both discovered their passion and dream jobs at the same time, and are both in way over their heads right now. At the beginning of the episode I was rather impressed with Randall, but if past meltdowns have been any indication, him holding the household together while balancing his new job was not going to go well. We've seen him explode before, and it felt as though it could happen at any moment again. However, this time he didn't have a panic attack, but an emotional outburst that he might never live down for as long as he and Beth remain together. The concept of forgiving and forgetting seems like a nice sentiment, but there is no chance in hell Beth will be forgiving or forgetting what Randall said to her in that message. It's one thing to be mad and angry, but to belittle her the way he did was disgusting. One of Randall's biggest faults has always been how he believes what he's doing is more significant than everyone else. He's done it with Kevin for most of their life, and especially now that he's a city councilor, he thinks he has the be all, end all of the careers. Sure he's helping a lot of people with his career, but guess what so is Beth in many ways! Beth has made a fair share of mistakes and might be a little defensive when it comes to her new career, but no one deserves to get belittled the way she was. It's ironic that Kevin and Zoe were the ones attending couples counseling when it's evident that Randall and Beth are the Pearson couple that needs the most work right now. 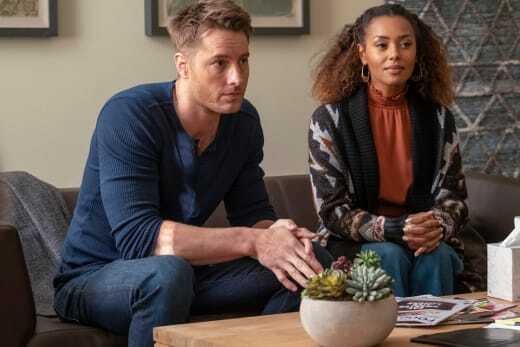 Hopefully, This Is Us Season 3 Episode 17 will give them the chance to hash out everything that's wrong with them and let them move forward, whether it be together or apart because this underlying tension between them has become exhausting! Bring back the Randall and Beth we used to love, dammit! While Randall and Beth continue to struggle as a couple, two others are taking theirs to the next level. Things seemed rough for Kevin and Zoe after This Is Us Season 3 Episode 15. Kevin's drinking was spiraling out of control again, and it remained unclear whether Zoe would be able to handle it. However, Kevin looks to have bounced back and has made the necessary steps needed to further their relationship. It was great to see Sophie again, mainly because she always felt like a loose end for Kevin. Sophie: Are you okay? I'm only asking because when you broke up with me I spent a lot of time wondering if you were okay. I also wanted to kill you. Like 50 percent wondering, and 50 percent wanting to kill. More like 70-30. Kevin: Seventy percent wondering if I was okay and 30 percent wanting to kill me? Their breakup happened during his first downward spiral, and neither of them got closure. Sophie may not be the best match for Kevin -- grade school sweethearts rarely are -- but she knows him well enough to get him thinking about what he wants out of his life. 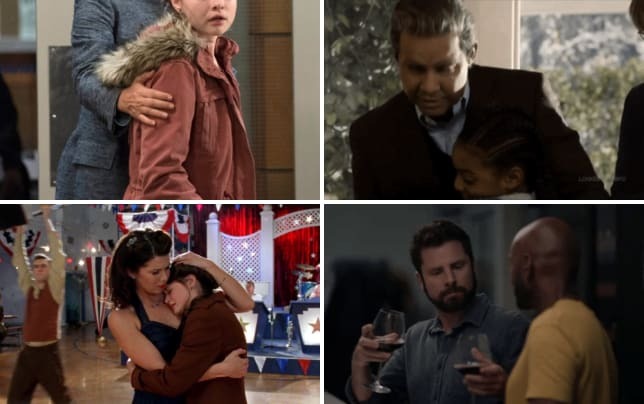 The whole "one partner wants kids and the other doesn't" has been done to death on multiple TV shows, and I was concerned that it would get dragged out like some other This Is Us storylines have been this season. Fortunately, unless I'm being tricked, that doesn't look to be the case. With the help of Sophie's guidance, Kevin decided to choose Zoe over kids. Hopefully, this isn't a decision he comes to regret later or one that causes resentment in their relationship. Perhaps it's because of the horrible things going on in Randall and Beth's relationship, but I need things to be okay between Kevin and Zoe. Another Pearson couple with tension is something I can't handle. The Pearsons deserve some happiness, and Kevin deserves to have a blissful relationship with Zoe that isn't affected by the kids debate. Speaking of kids, Jack Jr. continues to fight his little heart out in the hospital and while Kate's handling it marvelously, Toby isn't being the superhero everyone, including Kate, assumed he'd be. Parenting is no joke, and I can only imagine the amount of stress and anxiety Toby experiences watching his little boy in that incubation chamber. This Is Us Season 3 has shown a different side of Toby. First, there was him dealing with his depression, and now it's him dealing with the fear of not knowing how to take care of his son. These very human moments are important for Toby because, before this season, he always seemed like a big, cuddly superhero who could do anything. His romantic gestures were off the charts, and his determination seemed unbreakable. However, all humans have a breaking point, and Toby has nearly reached his multiple times. Fortunately, holding his son for the first time seemed to change Toby's perspective on Jack Jr. While he'll probably be scared as long as Jack Jr. is in the hospital the hospital, holding him at least proved to Toby that his son isn't just tubes and needles, but a person who needs his father's love and support. The journey that Kate and Toby are on may not be as dramatic as Randall and Beth's fighting or Kevin's relapse, but it is just as important. 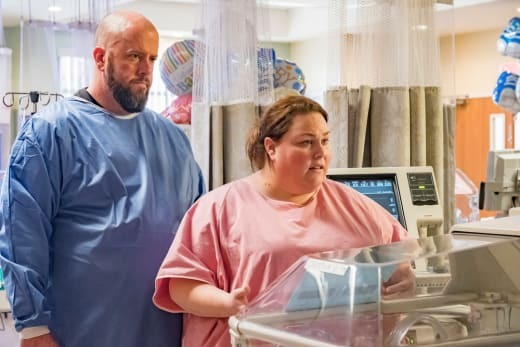 This Is Us, at its core, is all about humanity, and what's more human than two parents tending to the needs of their baby? It may not be the most exciting, but Kate and Toby's story is perhaps the most essential story on This Is Us. A story that doesn't seem important at all right now? Jack and Rebecca. It's been a while since we've seen Jack, and his comeback was wildly underwhelming. 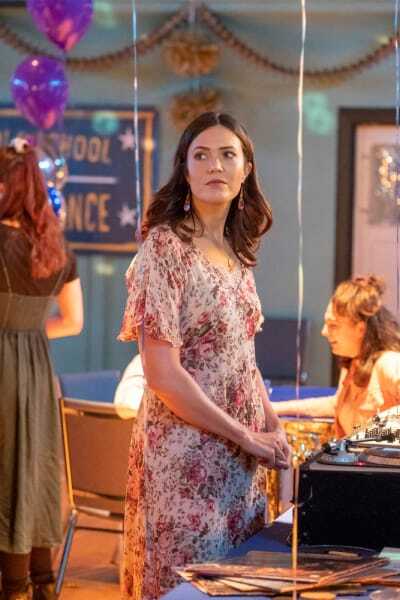 The school dance was cute, and the little Pearsons were as adorable as ever, but considering at the beginning of Season 3 Jack and Rebecca were the most exciting story the show was telling, their screentime lately has been disappointing. Between their romantic beginning and all the stuff with Nicky, it feels as though This Is Us is at a standstill with the past storyline. So much of it was building up to the big Nicky reveal and now that it's out in the open it feels as though they are not sure what else to share from the past. Each season of the show used the past to lead to a big secret reveal whether it was "Nicky's alive" or the whole "how did Jack die?" mystery. It seems like all the Pearson secrets are now out in the open, and besides a sprinkle of moments here and there, there isn't a whole lot left to tell about the past. Jack: I think if I saw you in high school, everything else would just disappear. All of a sudden, none of it would've mattered. Not my dad's drinking or my parent's fighting. I would've walked right up to you and said hi. And that would've been it. Happily ever after. Rebecca: Really? Just like that? Hopefully, This Is Us will come up with a way to utilize Jack, Rebecca and the younger kids in a much more intriguing way because little doses like the school dance aren't enough to keep me invested. While "Don't Take My Sunshine Away" wasn't a bad episode by any means, it wasn't great either. 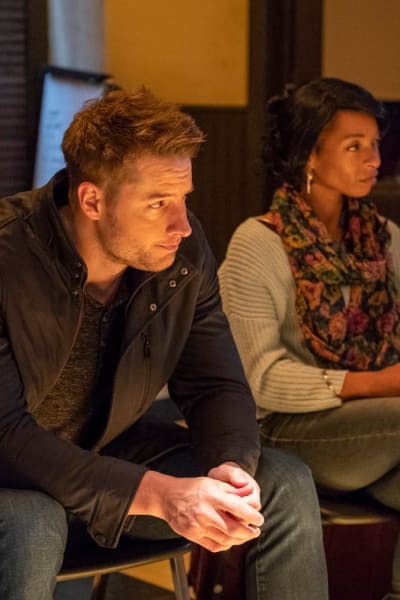 This Is Us needs a fresh and innovative story injected into the show because right now it's treading water, and many of its stories are becoming stale. What did you think of "Don't Take My Sunshine Away"? How do you think Randall and Beth's "big" argument will play out? Do you think there is any chance of saving the Randall and Beth relationship? Do you think Kevin's content with his decision or his choice will lead to resentment in his relationship with Zoe? Does This Is Us need to give Jack and Rebecca something new and fresh to do?